Begin with good quality organic quinoa and follow cooking instructions. While quinoa is cooling, chop and lightly steam 2 cups broccoli florets. Combine broccoli & quinoa and add a little bit of coconut aminos (Coconut Secret is delicious). 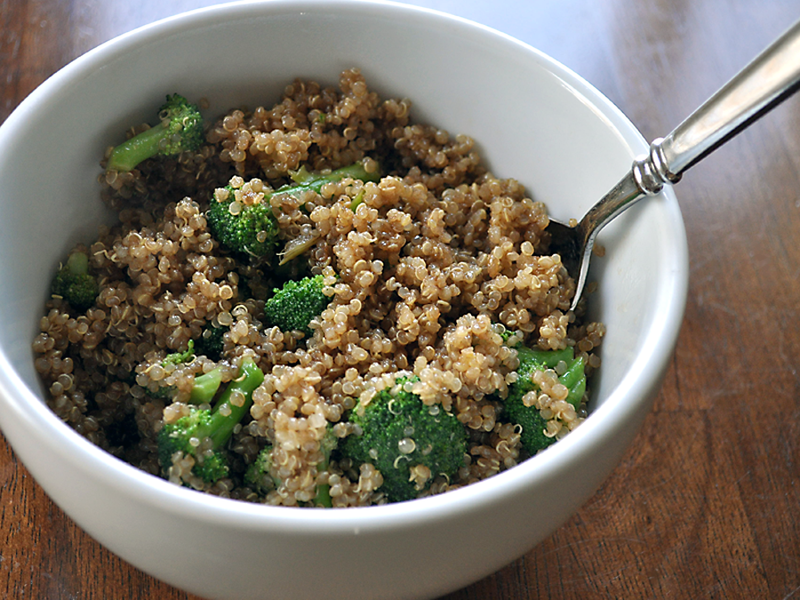 Use the same way as you would use soy sauce to flavor the broccoli and quinoa. Add a drizzle of olive oil or sesame oil and stir everything together well.